In one of our log cabins a short distance from the yurts there is a fully fitted kitchen with a range cooker, microwave, toaster, kettle, fridge and freezer. All pots and pans, crockery and cutlery. There are table and chairs for rainy days. Games to play, pens and crayons. Outside there is a wood burning pizza oven, bar-be-cue , seating and campfire area for lazy sunny days and evenings watching the sun go down. In the neighbouring log cabin there is shower room and flushing toilet for each yurt. The hot water is heated by solar panels on the roof backed up by gas so you never run out. For everyday supplies in camp the village of Lanreath has a community run shop and post office selling local produce and everyday needs. It is within walking distance although up a steep hill. For more major supplies there is a Spar shop in Pelynt, a Co-op in Looe or major supermarkets in Liskeard and Bodmin. 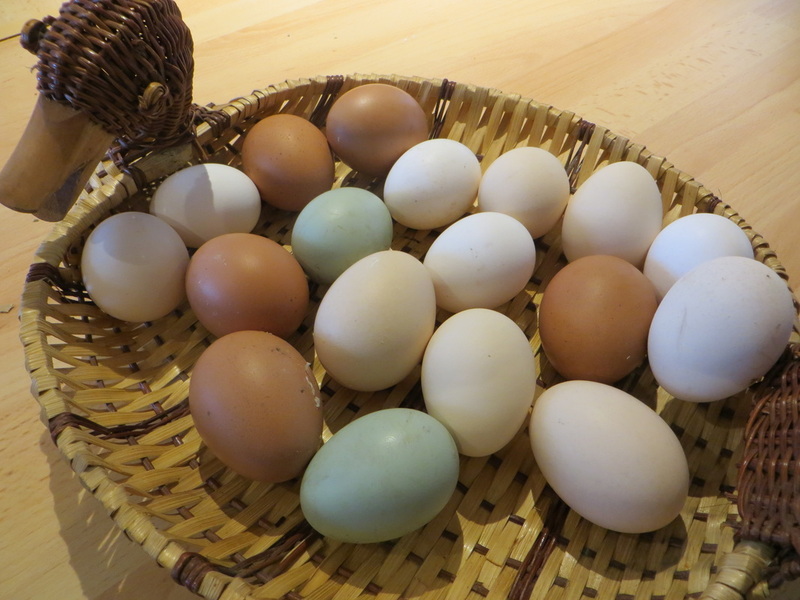 Eggs are usually available on the farm in various colours from our rare breed chickens.